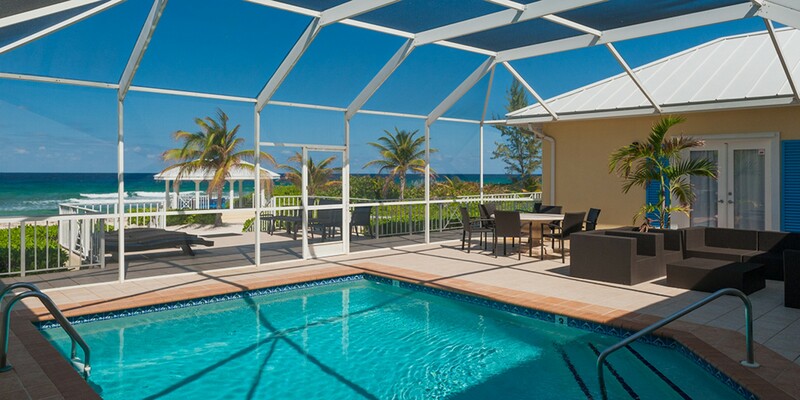 Along the prestigious northern coast of the Grand Cayman, you will discover the luxurious 5-bedroom Villa, Cayman Sands. 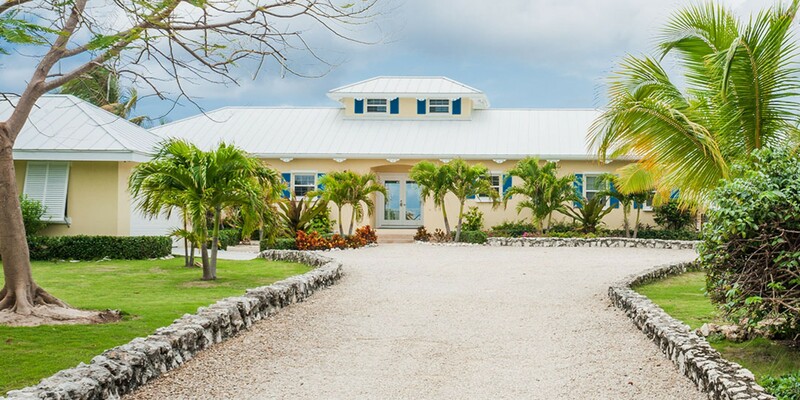 Based along Old Robin in Old Man Bay this charming property enjoys a serene private location and is also ideally based near Grand Caymans key destinations. The Villa is perched on its own beachfront area and includes key features such as a large swimming pool in a covered atrium and oceanfront cabana. The villa can accommodate up to fourteen guests in total across the beautiful interiors and expansive exteriors. The villa also accepts small weddings. 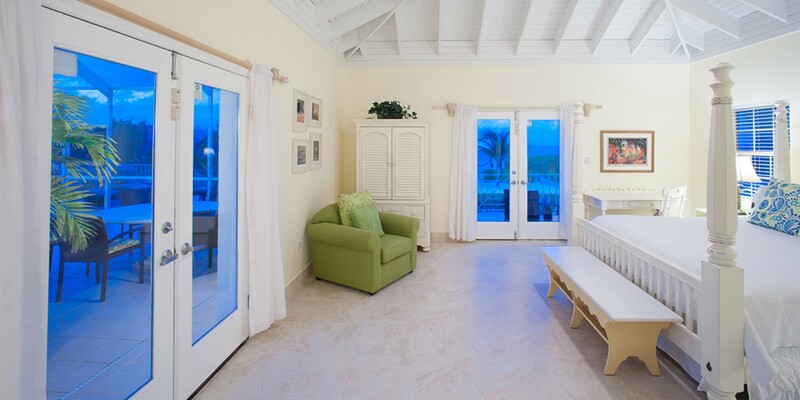 Indulge in a luxurious tropical vacation here in Cayman Sands, an elegant island style villa. 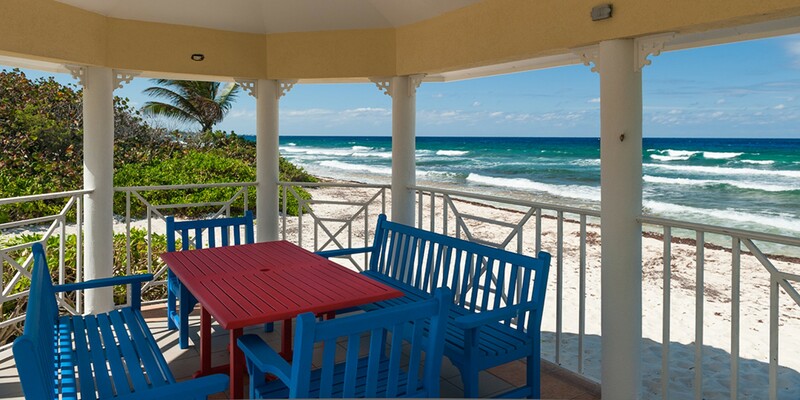 As the property is located directly on the beach in the North side, it offers you a white sandy shoreline and calm turquoise waters as your back garden. 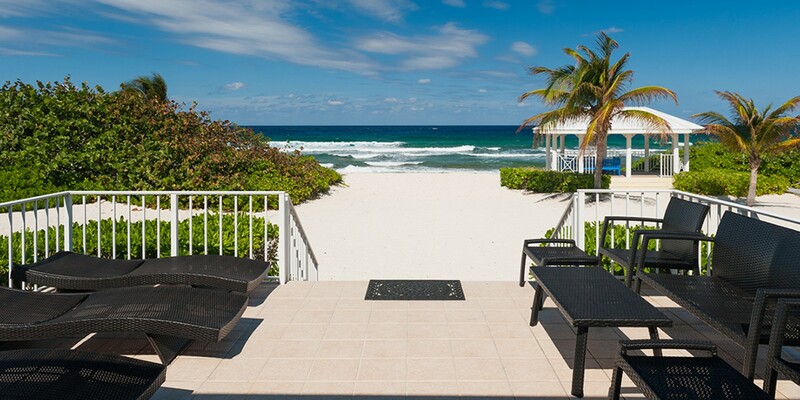 Step down off the private terrace and onto the soft sandy beach as you indulge in a morning stroll. The crystal-clear waters of the Caribbean Sea are luxurious to swim in with gentle waves, or simply let the waves lap onto your toes as you explore the shallow waters. 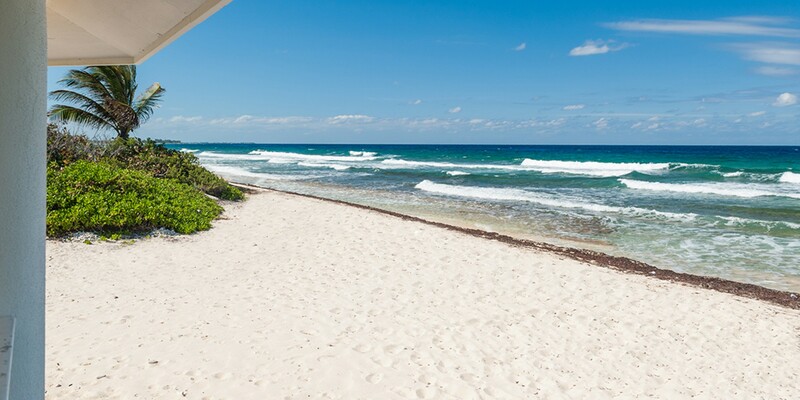 Enjoy a salt water swim in this crystallized ocean or dive in to experience some snorkeling. The water is home to many vibrant, tropical creatures that swim peacefully below. 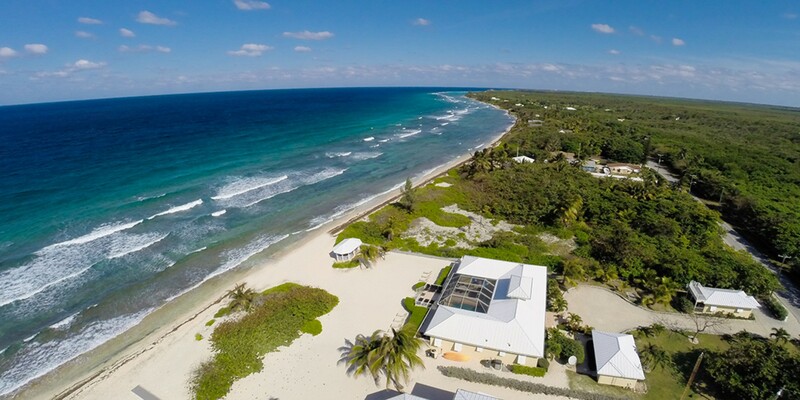 This popular villa is one of the only properties along the beach that offer shore scuba-diving near the famous Cayman Wall. The property consists of the main villa and additional guest cottage. The open plan, one story villa indulges in modern furnishings, with white walls, floor to ceiling windows and high vaulted ceilings. The rooms are flooded with light and warmth, featuring views of the beach and the endless shades of glistening turquoise waters. 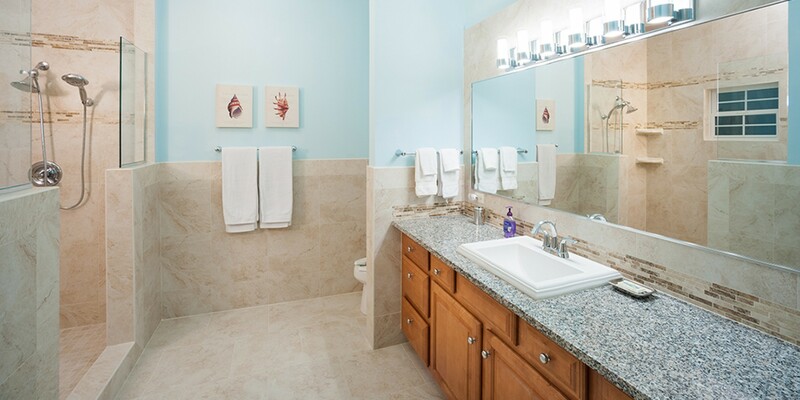 The interiors encompass a total of 4,000 sq. ft, providing a spacious and airy environment to relax in. The great room blends the living, dining and kitchen areas into one while enjoying the panoramic views through 30 feet of sliding glass doors. 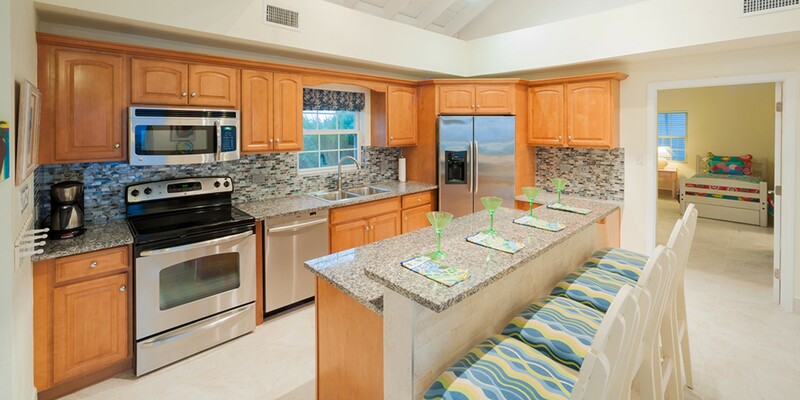 The kitchen is newly renovated and fitted with top quality appliances. The caramelized wooden cabinetry, tiled wall and marble counters create a pristine kitchen space. The breakfast bar seats four guests comfortably while the dining area seats another eight. 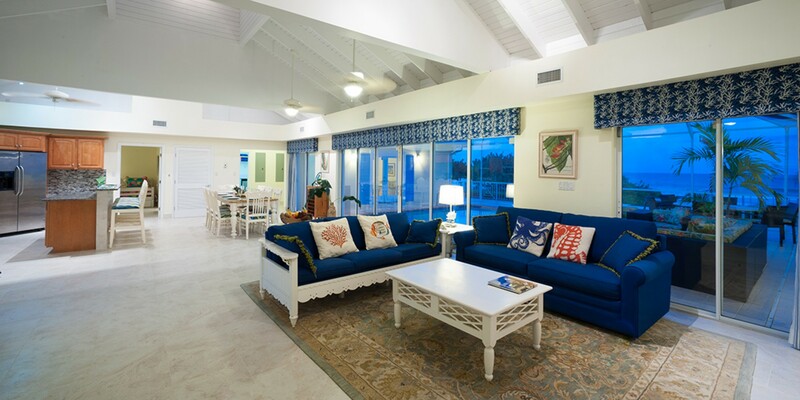 The living area is based at the other end of the great room and features two plush, deep blue sofas. Opposite the sofas is a wall-mounted flat screen TV. The room opens out onto the terrace and atrium through the large sliding doors. The private Atrium holds the silk-like waters of the swimming pool. Slip into the refreshing waters after lounging out under the hot sun. You can swim a couple of laps or simply float on your back watching the cotton clouds float above you. 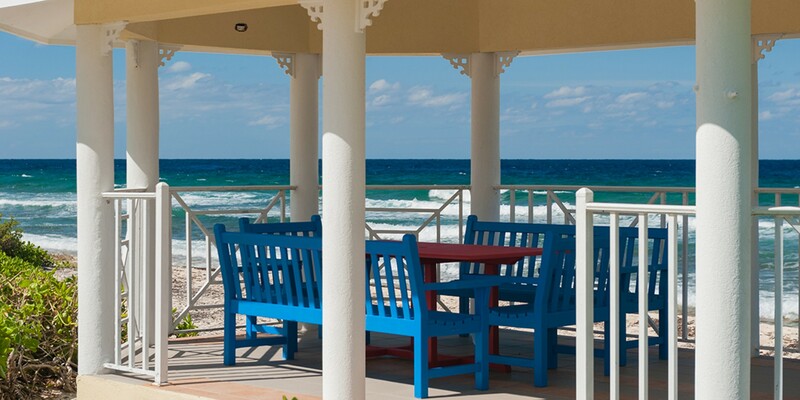 In the afternoons you can perch yourself in the oceanfront cabana and read your favorite novel as the waves roll in. 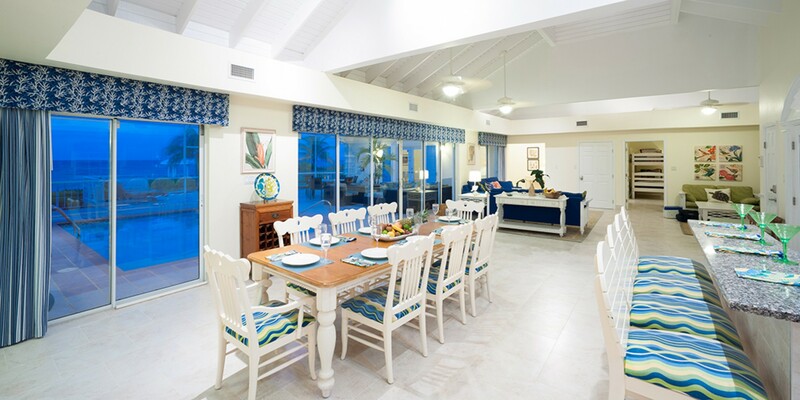 Indulge in an authentic island style vacation as you dine alfresco under the sheltered terrace in the evenings. You can spark up the barbeque or even hire a professional chef to cater for your delicious meals. Watch the sky fade from a soft shade of pink to a midnight blue in the evenings, as you lounge in the atrium surrounded by your loved ones. When the evening draws to an end you can fall asleep to the lull of the ocean’s waves lapping along the shoreline. 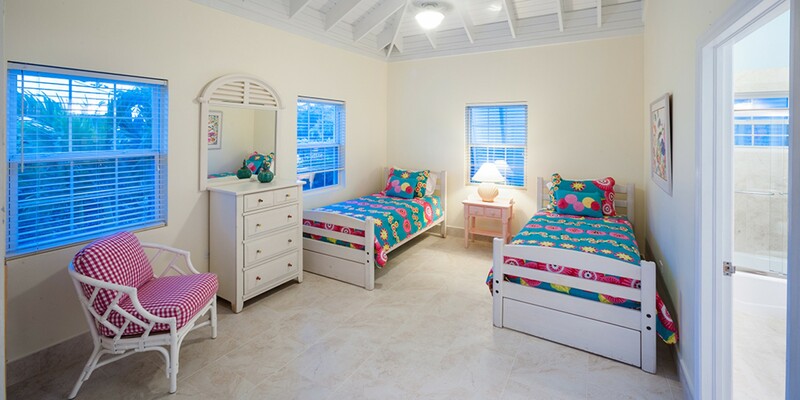 Cayman Sands has a total of 5 luxurious bedrooms. Four of the room are based in the main villa, each boasting of its own private en-suite bathroom. 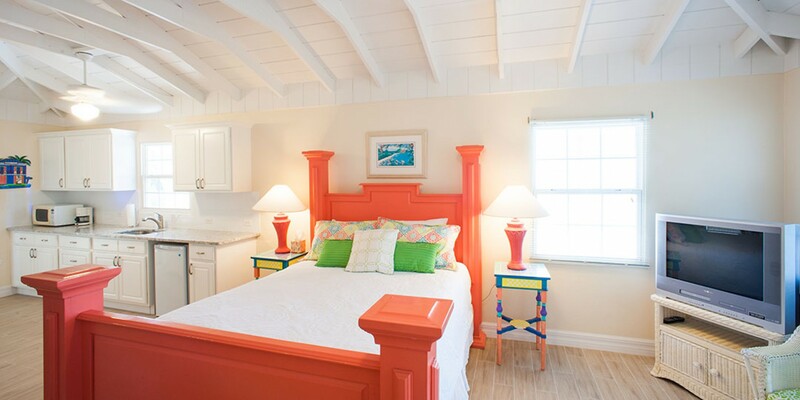 The master suite features a lavish king-sized bed and includes access out onto the private terrace. The room includes incredible ocean views. 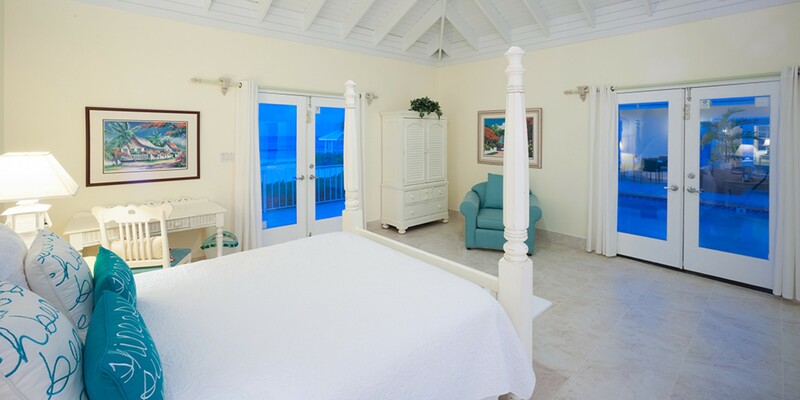 The queen-sized guest bedroom also features panoramic ocean views, with access out onto the terrace. 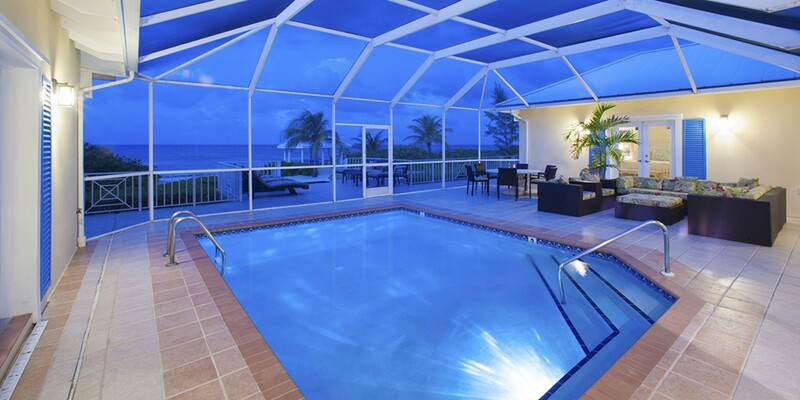 These oceanfront suites have French doors that open onto the screened pool atrium. 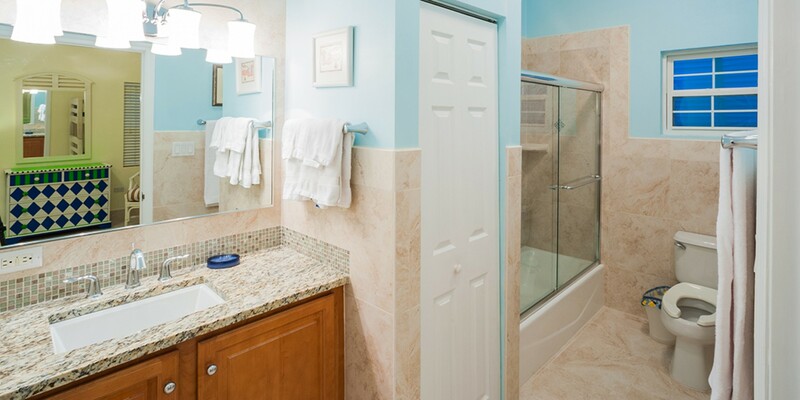 Both rooms include shower in the en-suite with vanities and supplied with fresh towels. 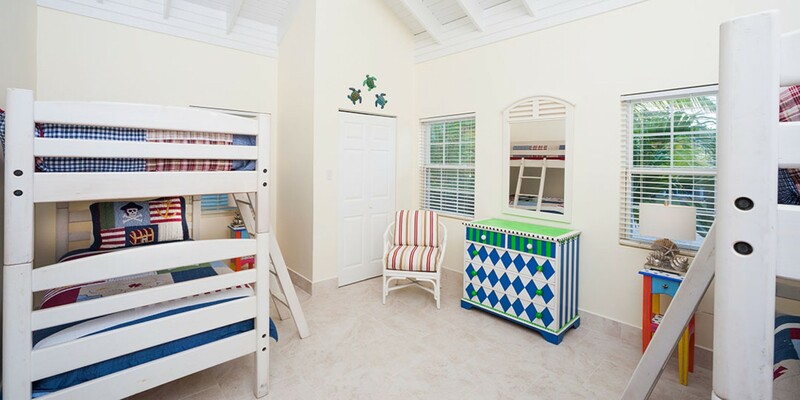 The second guest bedroom offers two sets of bunk beds with en-suite featuring a bathtub/shower combination. The fourth bedroom in the villa includes two comfortable twin beds and views of the surrounding gardens. 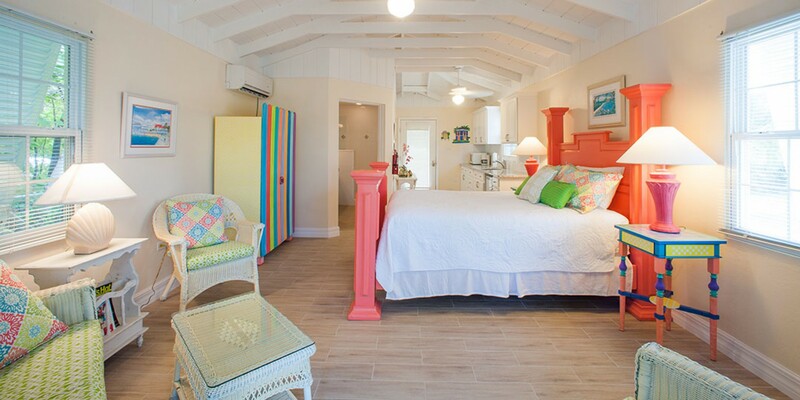 The additional guest cottage features a queen-sized master suite. 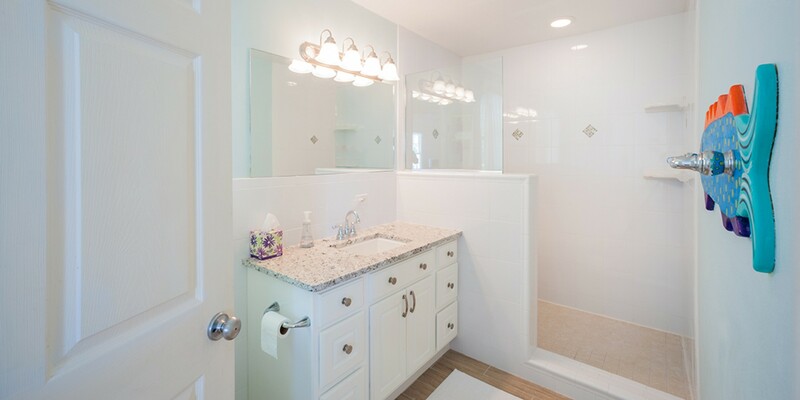 The room includes a private en-suite bathroom with a walk-in shower and vanity. 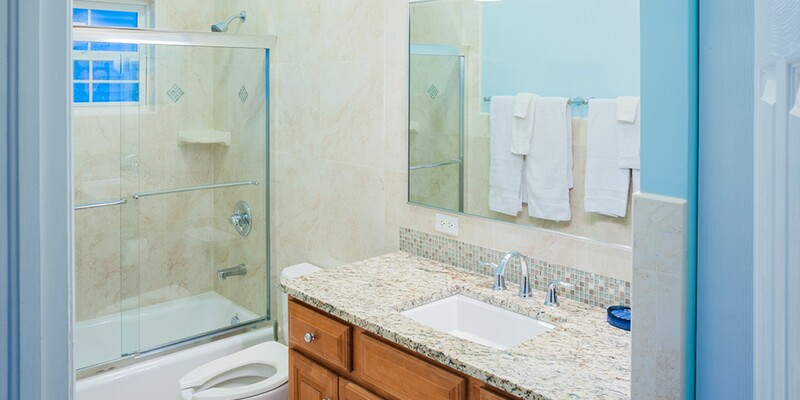 The room has its own private kitchenette, and access out onto a screened porch and balcony. Bedroom 1 Master: Luxurious King-sized Bed, Private en-suite Bathroom, Single Vanity, Large walk-in Shower with dual showerhead, Desk, Access onto the terrace, Ocean Views. Bedroom 2: Lavish Queen-sized bedroom, Private-en-suite Bathroom, Shower, Vanity, Access to pool atrium and sun deck, Ocean views. Bedroom 3: Comfortable Twin bedroom, Private-en-suite Bathroom, Shower. 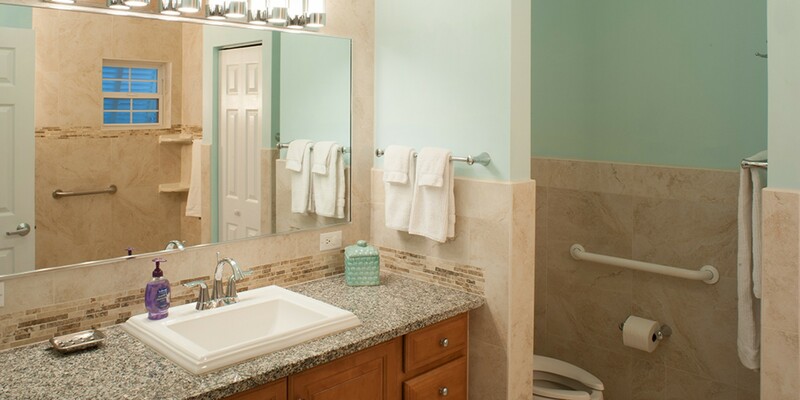 Bedroom 4: Two sets of Bunk Beds, Private en-suite bathroom, Single Vanity, Bathtub/shower combo, Ceiling fan. Bedroom 5: Queen-sized Bedroom, Private en-suite bathroom, Single Vanity, Large Shower, Kitchenette, microwave, coffee maker, Air-conditioning, TV, Closet. 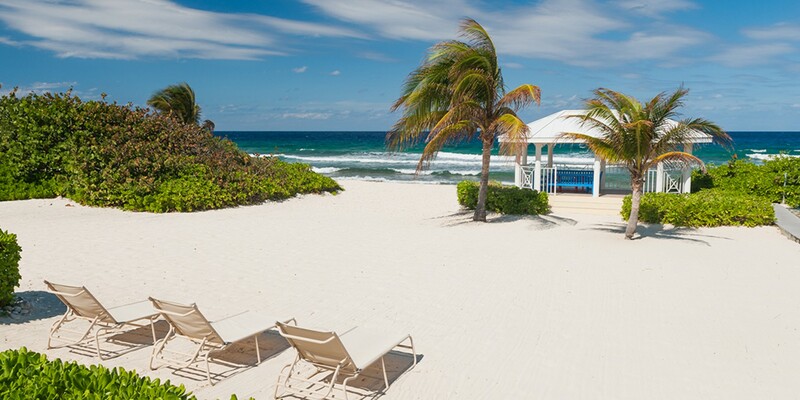 Cayman Sands is located along the northern coast of the Grand Cayman in the North Side. 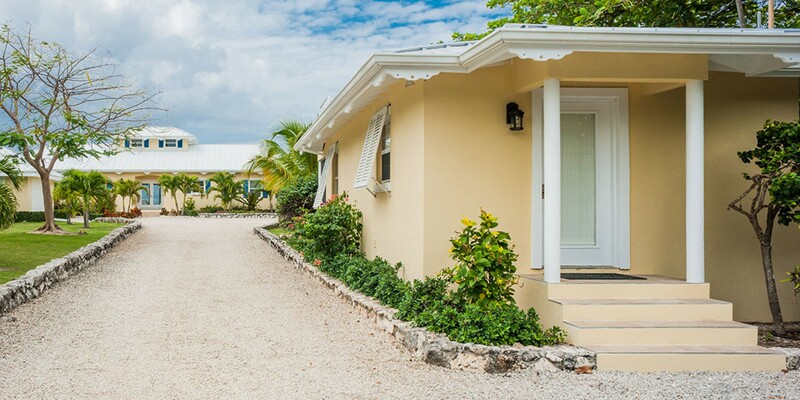 Based specifically along Old Robin in Old Man Bay this private property enjoys a serene private location and is also ideally based near Grand Caymans key destinations. The Villa is perched on its own private beach. Old Man Bay offers some of the best snorkeling and scuba diving on the island has. The beaches are sugar fine and sandy while the waters are mild, and some are dotted with natural rock formations. A short fifteen-minute drive will lead you to the sought-after Rum Point and the incredible beach and beach club on the sugar-fine shoreline. The beach offers a profusion of exciting water sports and includes a delicious restaurant bar and grill and quaint gift shop. This is a fabulous beach house located on the northern coast with the most beautiful views of the beach. The beach is probably the best on the island for shore diving and snorkeling. With the varied marine life in this area, it is recommended to wear pool shoes or fins when going into the water. The Caboose (formally Kurt's Korner) is a local restaurant that is within walking distance from the villa and they do great local food. I got the coconut shrimp with Caribbean style bean rice. I highly recommend but do bring bug spray as it is an outside restaurant. Over the Edge restaurant is about one mile further west offering breakfast, lunch, and dinner menus at affordable prices. 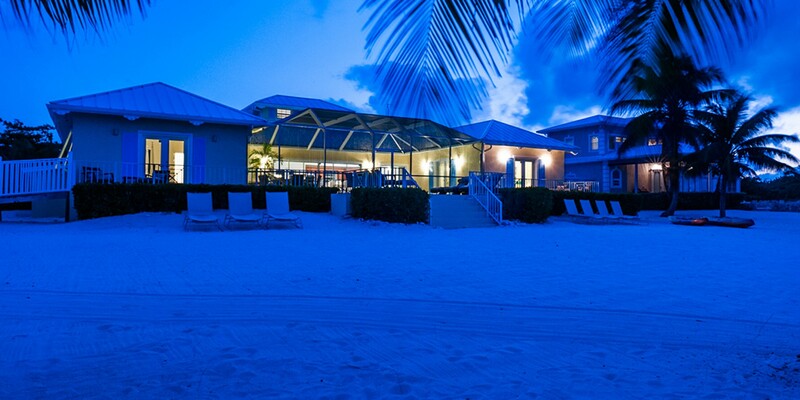 Another 15 minutes west of Old Man Bay is the famous Rum Point Club with water sports, restaurant bar and grill, a gift shop, and a barefoot beach with table service. 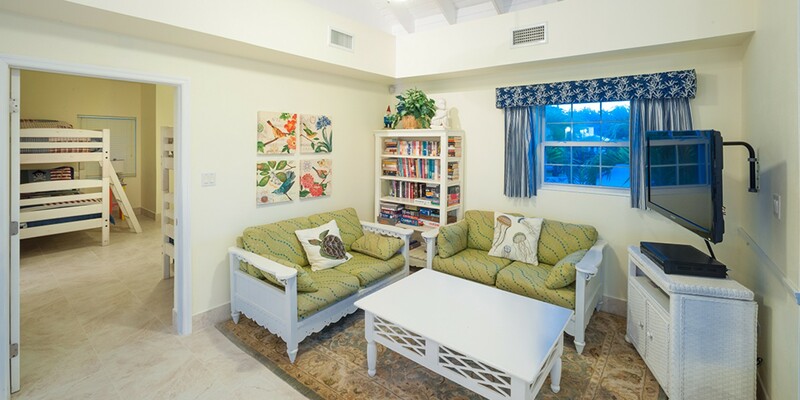 This villa is in a great location and I would highly recommend for families and couples traveling together.